If the end of the line for the Quinn family was the Four Courts on a chilly morning earlier this week, the seeds of their downfall can be traced back many years to much sunnier climes. Avenida Arriaga, a tree-lined boulevard in Funchal, Madeira, was a long way from Seán Quinn's base in Cavan and Fermanagh. But it was here the one-time industrial group magnate chose to locate a company called Bazzely V Consultadoria Economica E Participacoes Sociedade Unipessoal LDA. His five children, who have spent recent years embroiled in various court battles, may very well wish they never heard of this company. Set up in 2005, Bazzely was the vehicle used by Mr Quinn to indulge in massive stock market bets using financial instruments known as contracts for difference (CFDs). These allow investors to speculate on the performance of shares without actually owning them. 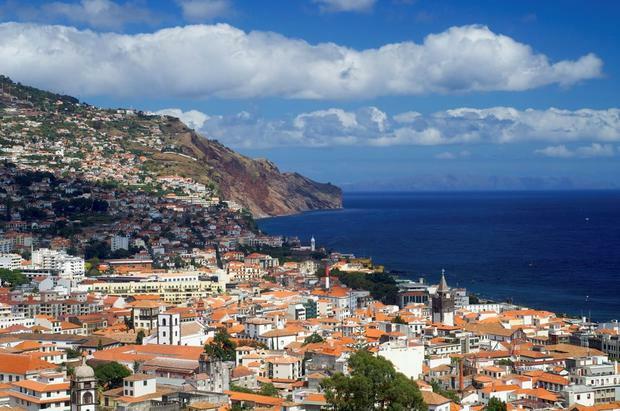 Funchal in Madeira, where Seán Quinn located a company to engage in massive stock market bets. Documents seen by the Irish Independent shed much light on how the company was used for the secret betting spree. At first his bets were successful, but when the tide turned he would lose billions. This had massive implications for him personally, his business empire, Anglo Irish Bank and taxpayers. It has also haunted his children. Although he called the shots, Seán Jr, Ciara, Colette, Aoife and Brenda Quinn were the shareholders in Quinn Group. They were the ones who signed guarantees in connection with €2.34bn in loans advanced by Anglo so their father could cover CFD losses. With Mr Quinn subsequently declared bankrupt, the children were also the ones pursued by Anglo's successor, the Irish Bank Resolution Corporation (IBRC), when the debts were being called in. This sparked a series of legal wrangles which rumbled on for eight years. The children sued IBRC, claiming loan guarantees they signed were invalid. 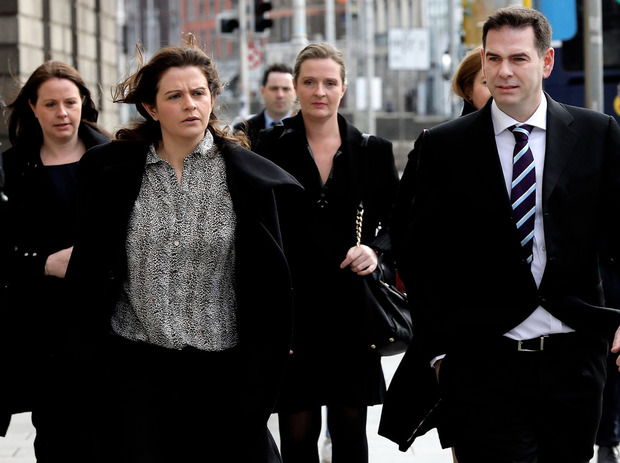 IBRC countersued, seeking €82m from each of them. It also took another case, alleging the family engaged in an asset-stripping scheme intended to put €455m worth of foreign properties beyond IBRC's reach. On Tuesday, the High Court was told all matters had been settled. Under the agreement, the children have had a series of multi-million euro judgments entered against them. Things could have been very different if their father had ditched his share speculation scheme when it began making losses. Instead he dug himself further and further into the hole he found himself in. Between October 2005 and April 2010 Mr Quinn sunk €2.4bn into CFDs, and Bazzely's losses amounted to €2.1bn. Bazzely was no ordinary company. It had no staff, no premises and no bank account. Its day-to-day administration was carried out by certain staff at the headquarters of Quinn Direct Insurance (QDI) in Cavan, with the help of colleagues in other Quinn firms. To make the most of the CFD investments, the company used the Avenida Arriaga address within the Madeira offshore zone to avail of corporate tax exemptions. Emails show a staff member at QDI kept track of cash transfers and contacts with brokers. Other QDI staff were authorised to sign for payments made on behalf of Bazzely. The advantage of trading in CFDs was that rather than buying the underlying stock, Bazzely only had to pay a fraction of the share value up front. This is known as the 'margin rate' and, in the case of most of Bazzely's initial investments, it tended to be around a fifth of the value of the shares. CFDs also did not have to be declared in the same way as shares, so trading could be largely done in secret. The downside was that when share prices fell, Bazzely had to make 'margin call' payments to keep the CFDs open. Initially Bazzely had an extremely diverse CFD portfolio. For example, in December 2006, it had open CFDs on 134 million shares in more than 50 companies. These included European banks, international mining corporations, oil exploration firms and Japanese real estate companies. Punts were also taken on Irish companies C&C, CRH, Paddy Power and rival insurance firm FBD. All of these bets were placed via major brokers such as Credit Suisse, Bear Stearns, Lehman Brothers, Merrill Lynch, Cantor Fitzgerald, Davy and IG Index. As 2006 drew to a close, Bazzely recorded profits in relation to 36 of the 51 companies whose shares it had speculated on. On paper, Mr Quinn had made €296m. But in 2007 he changed his investment strategy. 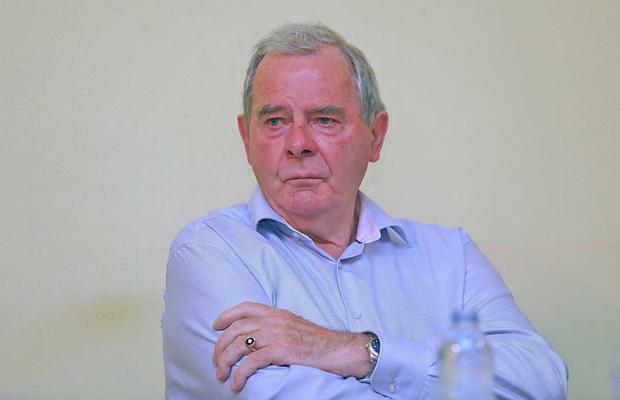 He cashed in most of his portfolio and focused on just 10 companies, Anglo, McInerney Holdings, Tullow Oil, Ryanair, AIB, Bank of Ireland, Banca Italease, Dragon Oil, Hypo Real Estate and Peter Hambro Mining. Heading into 2007, Bazzely had already banked €22.9m in profits on Anglo CFDs which had been closed out. Those which were still running were in profit to the tune if €157m. Various brokerage balance sheets show just how vulnerable he had become after placing so many of his eggs in the Anglo basket. He had been buying into Anglo when the share price was as high as €16.22 only to see it slump to €10.94 by the end of the year. Bazzely would record losses of €168.8m on Anglo CFDs throughout 2007, but worse was in store. Running losses on Anglo CFDs which were still open at that time amounted to €282.9m, and these losses would have to be faced up to in 2008.